Varela, Lee, Metz & Guarino has been once again been recognized in the Chambers USA guide in the “Construction” category. The 2018 guide describes VLMG as a "Boutique construction firm with an impressive international client base. Boasts a deep bench of highly experienced construction law specialists as well as up-and-coming attorneys. Regularly advises clients on high-value dispute resolution proceedings domestically and internationally. Noted for its expertise in the power and industrial sectors." Client comment: "The firm demonstrates that it is client-focused consistently, passionately and with sincerity." To identify and rank the world’s best lawyers and law firms, Chambers and Partners, a UK-based research and publishing group, employs a team of more than 140 full-time researchers to conduct an in-depth assessment of recent work and extensive interviews. When asked about VLMG, one such interviewee stated, "The firm has the capability to handle construction litigation of all sizes both domestically and internationally." Paul Varela demonstrates "excellent legal skills while remaining sensitive to the business needs of his clients," report sources. One client comments: "His ability to learn and understand the technical issues astounded me." He handles contentious and noncontentious construction matters on behalf of domestic and international clients. His expertise includes government contracts and public-private partnerships. Bennett Lee is highly regarded for his practice covering both the transactional and contentious aspects of construction law. He regularly represents design engineering firms, contractors and owners and is said to be "very competent, well spoken, articulate and persuasive." Todd Metz is "a seasoned and capable lawyer," report sources, particularly highlighting his "even temperament." Metz predominantly focuses on contentious issues arising from construction and infrastructure projects. He acts for contractors, owners and design professionals in litigation and arbitration. Joseph Guarino is “excellent with contract negotiations, a skilled litigator and overall a very professional attorney.” He handles disputes arising out of a wide range of projects, including power plants and hospitality projects. Christopher Burke has significant experience handling high-value arbitrations involving construction projects. Clients say: "He's very knowledgeable, thorough and detailed." Brian Dugdale is "very professional and thorough," according to clients. His wide-ranging experience includes negotiating construction and engineering agreements as well as handling dispute resolution. 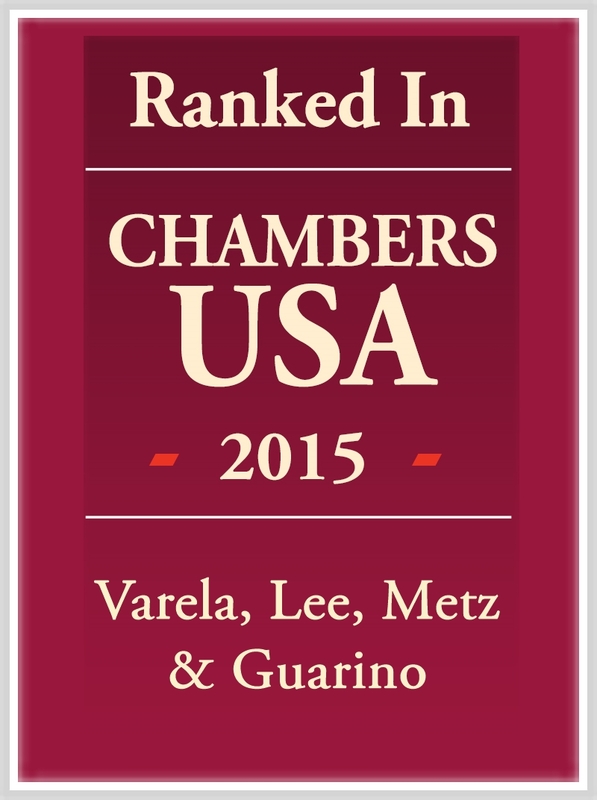 Varela, Lee, Metz & Guarino has been once again been recognized in the Chambers USA guide in the “Construction” category. The 2017 guide describes VLMG as a firm that is widely respected by clients, who note a “deep bench of skilled and experienced construction lawyers” who "always provide a timely and thorough response." VLMG was also praised for being a "very client-focused” firm that “strives to provide quality service for a fair and reasonable fee." VLMG is ranked as a top firm Nationwide, “Band 1” in Virginia, and a “Noted Firm” in California. To identify and rank the world’s best lawyers and law firms, Chambers and Partners, a UK-based research and publishing group, employs a team of more than 140 full-time researchers to conduct an in-depth assessment of recent work and extensive interviews. When asked about VLMG, one such interviewee stated, “The service and results that I have obtained with this firm have been top-notch. I would rank them in the top echelon of the firms that I have dealt with who are experts in construction and surety law." Paul Varela is a highly regarded construction practitioner who is known for his work on both contentious and non-contentious construction matters. He is praised for his advocacy, with one interviewee saying: "an excellent lead counsel," describing him as "calm in the eye of the storm" and noting that he "inspires trust and confidence." Bennett Lee is a highly regarded construction litigator. Commentators describe him as "very sharp, intelligent and proactive," noting his "very good judgment" and "good legal strategy capabilities." Todd Metz "has consistently provided keen advice against tight deadlines, and his experience on complex construction contract issues has been a true asset for us," according to Chambers interviewees. He focuses on construction-related disputes and regularly works on matters relating to projects in the USA and abroad. Finally, Joseph Guarino and Christopher Burke are listed as “recognised practitioners” in Virginia. Varela, Lee, Metz & Guarino was recognized in the Chambers USA 2016 guide as a "well-respected boutique compromised of construction law specialists on both coasts" that "handles sensitive and substantial cases for many of the country's top industry players" and "specializes in industrial and power sector projects with engineering, procurement and construction contractors and developers." VLMG was also praised as a "niche construction firm that has an impressive international client base." To identify and rank the world’s best lawyers and law firms, Chambers and Partners, a UK-based research and publishing group, employs a team of more than 140 full-time researchers to conduct an in-depth assessment of recent work and extensive interviews. When asked about VLMG, one such interviewee stated, "Their ability to keep an even keel and focus on the appropriate issues was outstanding. They kept things calm, under control and managed to keep things moving in the right direction." Another client remarked, "Top-notch firm that has been a reliable, trusted partner. They have reasonable rates, strong litigators and the ability to meet client needs." Paul Varela is a highly regarded construction practitioner who is known for his work on both contentious and non-contentious construction matters. He is praised for his advocacy, with one interviewee saying:"He has great courtroom strength, his cross examination skills are superb." Bennett Lee is a highly regarded construction litigator based at Varela, Lee, Metz & Guarino. Commentators describe him as "very sharp, intelligent and proactive," noting his "very good judgment" and "good legal strategy capabilities." Todd Metz is "outstanding and a pleasure to deal with," according to sources. He focuses on construction-related disputes and regularly works on matters relating to projects in the USA and abroad. 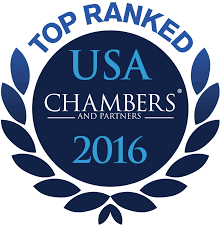 Chambers and Partners, a London-based publisher, selects leading firms and lawyers by researching firms and lawyers for each state, in over twenty areas of commercial law, and conducting over 5,000 interviews with top private practice attorneys and in-house counsel. The USA Guide was first published in 2003. As noted by Chambers USA, Varela, Lee, Metz & Guarino, LLP is a "flourishing construction group" with "extensive construction industry experience and understanding" and a "deep bench of talent" in handling "national and international mandates with clear strength in dispute resolution." Credited with being "very responsive and very knowledgeable," clients praise the firm's "common-sense approach; premier litigation skills; and excellent value." Paul Varela has a varied practice involving national and international mandates for clients from all sectors. He is adept at contract drafting, project management and litigation support. One effusive source reported that "he has decades of experience with significant projects all over the world." Bennett Lee is well regarded by commentators for his constructive approach to complex disputes. He is described as "an unflinching, seasoned construction litigator and powerful advocate," whose "ability to predict the opposing counsel's next move is uncanny." Todd Metz is well versed in the representation of contractors, owners, design professionals and sureties in a variety of construction matters. He works in numerous sectors, including transportation, energy and industrial projects. Sources say: "He will work incredibly hard for the clients' benefit. You can count on him for a thorough and complete analysis." VLMG is pleased to announce that three partners have been recognized in the 2014 edition of Chambers USA: America's Leading Lawyers for Business, for their excellence in the practice area of Construction. Paul Varela of Varela, Lee, Metz & Guarino is described as "tenacious but diplomatic - he has an excellent rapport with clients and opposing lawyers, with a great deal of experience across market segments." His practice centers on litigation and arbitration, representing major construction clients throughout the USA and internationally. Todd Metz of Varela, Lee, Metz & Guarino is highly praised by commentators for his practical and collaborative approach to disputes. He is notably experienced in the representation of clients in the energy and utilities sectors, with an impressive track record in international matters. Bennett Lee recently joined Varela, Lee, Metz & Guarino from Watt, Tieder, Hoffar & Fitzgerald. According to observers, he is "a strong attorney" who "has a realistic approach to construction disputes." His practice covers a wide variety of matters concerning industrial and commercial construction. Observers highlight Bennett Lee as "a solid litigator with a very good understanding of the contractor surety side of the construction business." Sources also say: "He has the ability to combine solid business strategy and business sense with his legal advice." He is also well-respected for his work as a mediator. Todd Metz focuses on contentious matters, advising all parties on construction claims and bid protests throughout the USA and internationally. He is commended by sources as "a competent practitioner who presents his arguments persuasively." Paul Varela advised Tishman Construction Corporation on a $500 million multiparty dispute pertaining to the 18 million sq ft mixed-use development CityCenter, located in the heart of the Las Vegas Strip. Clients laud him as "a valuable asset who really understands our business."